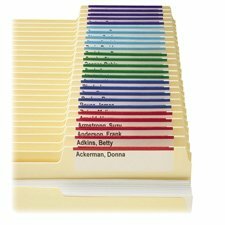 Smead® - Viewables Color Labeling System, Pack Refill, 3 1/2 Inch, Assorted, 100/Pack - Sold As 1 Box - Create color-coded labels that attach to the patented three-sided hanging folder tabs. Lets you create file folder labels with pre-formatted Windowsï¿½-based software. 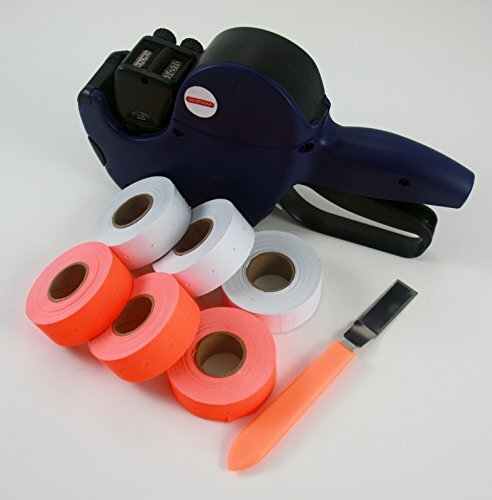 Color-coded labels speed filing and prevent misfiling; 14 color options, including black. Software with memory prevents waste and automatically places subject heading in the predetermined locations. System requirements: Windowsï¿½ XP; Windowsï¿½ Vista, Windowsï¿½ 7, Windowsï¿½ 8. 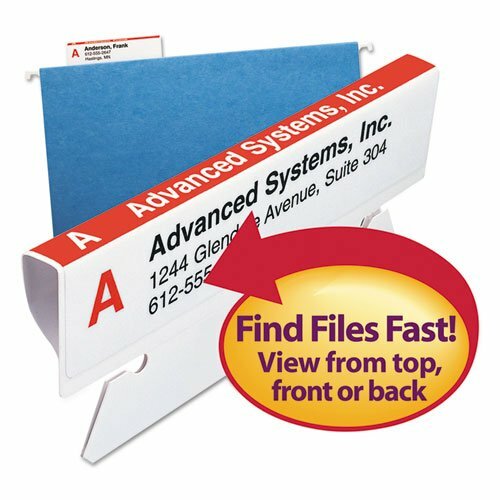 Use the Windows-based PC system software to create unique labels that attach to patented three-sided hanging folder tabs. Read tabs from front, top or back for increased filing efficiency. When used on folders with tabs in the same position, a continuous line of color is created for faster filing and retrieval. Color breaks your system into smaller sections and allows misfiled folders to stand out. Viewables Labeling System Starter Kit includes 25 tabs, 32 labels, 32 clear label protectors and software. Requires 400MHz 32-bit (x 86) or faster processor, 128MB RAM, 280MB free disk space; Microsoft Windows 2000 with Service Pack 4, Windows XP with SP2, Windows Server 2003 with SP1, Windows Vista, Internet Explorer 6.01 or later. Amram 2 Line 8 Characters Top/6 Characters Bottom Price Marker Starter Kit, Includes 4,500 Labels, 1 Pre-loaded Ink Roller, 1 Label Peeler Tool. Windows-based system lets you print color-coded labels for standard top-tab file folders. Use included CD software to format the labels, print and apply so color band wraps around tab. Color-coded subject headings, in up to 14 different colors, are viewable from both front and back of folder. Each label measures 3-1/2" wide x 1-1/4" high. Color breaks your system into smaller sections and allows misfiled folders to stand out. Viewables Labeling System Starter Kit for file folders includes 160 labels on 10 letter-size sheets and software. Label sheets are compatible with inkjet or laser printer. System requires 400MHz 32-bit (x 86) or faster processor, 128MB RAM, 280MB free disk space; Microsoft Windows 2000 with Service Pack 4, Windows XP with SP2, Windows Server 2003 with SP1, Windows Vista, Internet Explorer 6.0 or later. Color: 8,500 Flou. Red Labels. 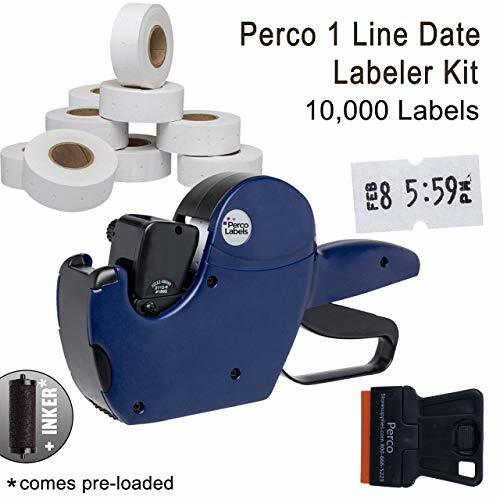 Perco 1 Line 8 Digits Date Coding Gun Kit holds up to 1000 labels per roll. The Markers can be up to 5X faster than dating or pricing product by hand. The Marker may be loaded with different types of labels designed to work in the freezer, peel off or dissolve off of reusable containers, or be discarded with disposable items. Markers are an efficient, versatile, and easy to use labeling system that allows products entering the kitchen, storage area to be labeled with a date and time if desired. The Marker assures accuracy and legibility, improving food safety while reducing valuable labor costs. The ink roller is replaceable allowing the print to remain sharp and legible. 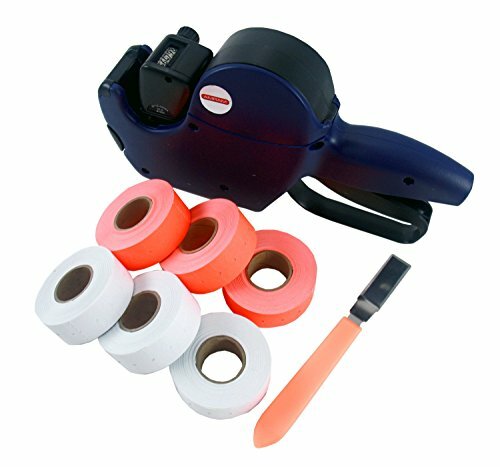 Amram 1 Line/ 6 Characters Price Marker Starter Kit, Includes 28,000 Labels, 2 Ink Rollers (1 Pre-Loaded, 1 Replacement), 1 Label Peeler Tool. 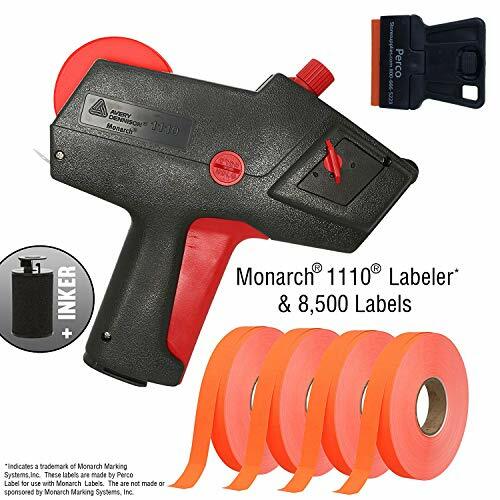 mram 1 Line/ 6 Characters Price Marker Starter Kit, Includes 6,000 Labels, 1 Pre-Loaded Ink Roller, 1 Label Peeler Tool. 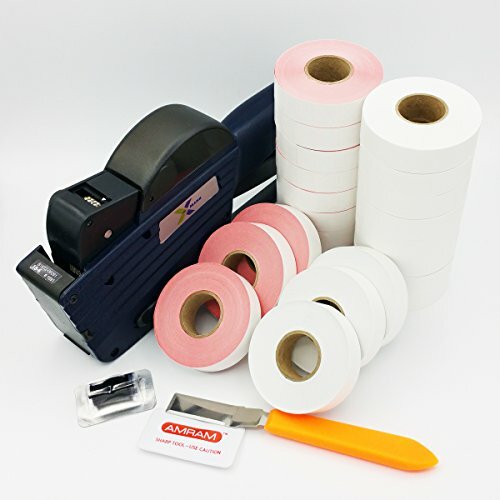 Value packed kit includes includes 1 line/6 Characters, 6,000 total labels, 1000 labels per roll (3,000 white labels, 3,000 red labels, 1 pre-loaded black ink roller plus 1 label peeler to remove labels. Premium quality labels, made in USA. Use white labels for regular prices items and red labels for sales, markdowns and clearance. One touch open system, smooth, accurate and comfortable operation. 21x12mm size labels. Loading Instructions Included. Used by Retail Stores, Grocery Stores, Convenience Stores, Delis, Bodegas, and On-The-Go Marketplaces. Can also be used with our 21x12mm Date & Lot Coding Labels. Also used by food and industrial manufacturers. For best results, we recommend using Amram brand labels and ink rollers. Amram products are the choice of leading retailers. Want more Labeling System Starter Kit similar ideas? Try to explore these searches: Breast Healthy Joints Formula, Fenton Glass Mug, and Wilton Cake Decorating Instructions.